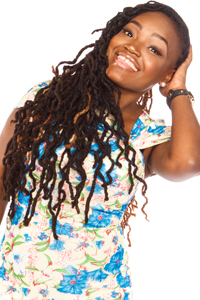 Ash Brown is a gifted American producer, blogger, speaker, influencer and event emcee. The blog on AshSaidit.com showcases exclusive event invites, product reviews and her favorite eateries. Ash has been blessed to have partnered with The Fox Theatre, Philips Arena, Gwinnett Relay for Life, Chateau Elan, Infinite Energy Center and Lake Lanier Islands in the past year. Her motivational podcast “Ash Said It Daily” is available on major media platforms such as iTunes, iHeart Radio & Google Play. 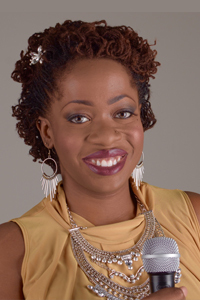 In addition she hosts a weekly television show entitled “AshB Tv” on Charter Cable. She uses these mediums to motivate & encourage her audience to follow their dreams! For more information about Ash Brown visit www.ashsaidit.com. Well I’m Cindy, best known as PRIIINCESSS, I am a Personal Life & Style blogger at IAM.PRIIINCESSS.COM as well as the face and owner of PRIIINCESSS.COM, an online clothing company. I was born and raised in Haiti but currently based out of Atlanta Ga. My brands are my entire life and I work night and day to make them what they are today… The blog is a direct reflection of my personal style and lifestyle but the main focus is show young women that it’s ok to be ourselves and do what we love. And that the sky is the limit as long as we are willing to put in the work we can actually have it all, all of that our hearts desire. I have covered a variety of women’s event to date.. From networking brunches, business conferences, charity events to girlfriend getaways. I have always enjoyed attending events but now I get to attend, cover them for the blog and still be fabulous!! Best and my favorite part about covering events is getting to chat and connect with like minded women from all walks of life. To see my past and upcoming events visit >> iam.priiincesss.com.